Figure 1: (A) The balloon-expandable SAPIEN (Edwards Lifesciences) transcatheter prosthesis for aortic valve implantation. 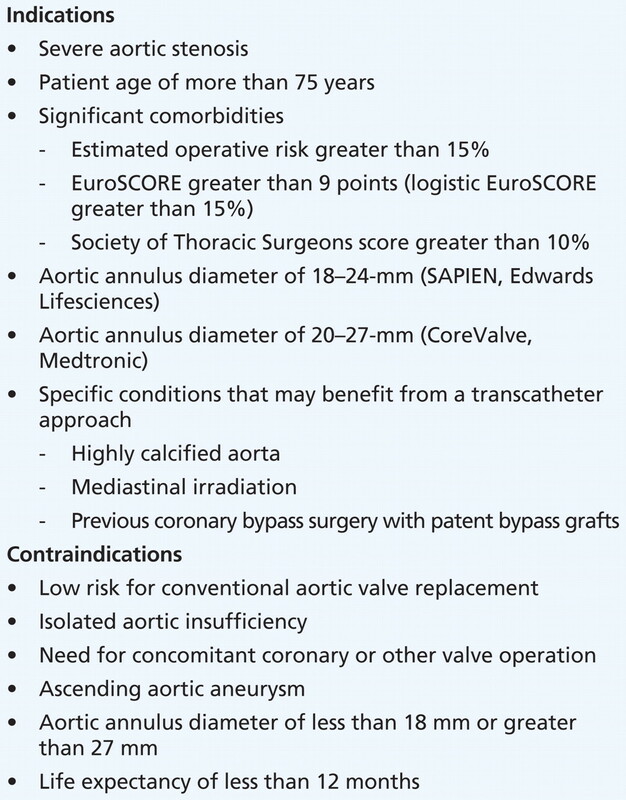 (B) The self-expanding CoreValve (Medtronic) transcatheter prosthesis stent for aortic valve implantation. (C) The balloon-expandable Melody (Medtronic) prosthesis for pulmonic valve implantation in congenital heart disease. Figure 2: (A) Balloon aortic valvuloplasty. (B) Positioning of the undeployed transcatheter valve prosthesis within the aortic annulus. (C) Intraoperative aortography confirming good implantation of the device, without coronary obstruction or paravalvular leak.